The floating city of the Dukes, lying in the middle of a swallow lagoon, is a maze of water canals and narrow streets. No cars at all. Just water-buses, water-taxis and gondolas. 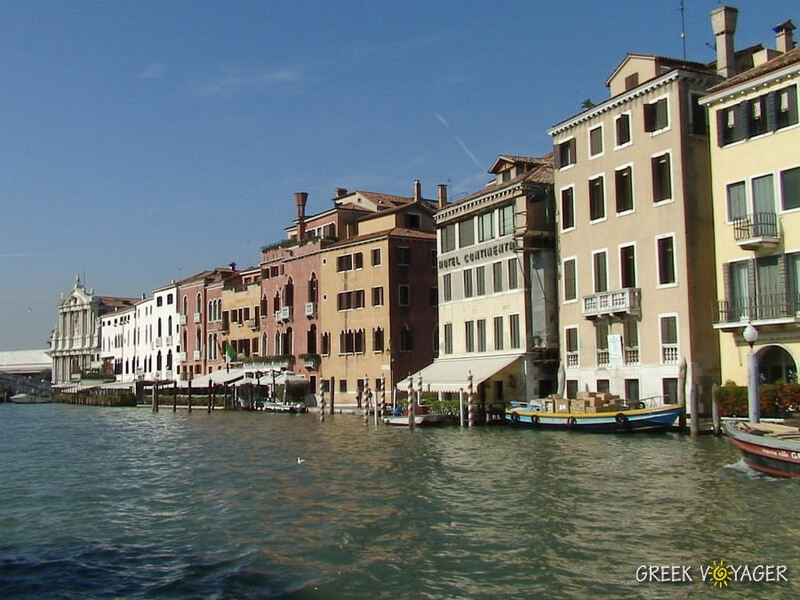 Situated on the Adriatic Sea, Venice is a city of small islands, forming 177 canals, connected by 409 bridges. The canals are the water ways for every form of transport. In the car-free alley-ways, people feals completely free to fool around on foot. Gifted by a prosperous commercial and cultural past with superb architectural monuments and marvelous works of art, Venice claims to be perhaps the most beautiful city ever built by man and also one of Europe’s most romantic place. City of water, City of Masks, City of Bridges, City of Canals are only a few of the names given to Venice. The historical buildings in the old section of the city have a rich and diverse architectural style, mostly gothic, but also renaissance and baroque. The visitor will also witness Byzantine, Ottoman and Arab influences on the palaces facades along the Grand Canal and within the city. Some of the famous and most popular tourist landmarks are the renowned San Marco Square, San Marco Basilica, the Duke’s Palace, the Rialto Bridge, the Bridge of Sighs, The Clock Tower and San Marco Campanile. The list of remarkable and well-liked spots is really long in this artistic dream city. ”The only place in the world that I love”, said Nietzsche, who spent there quite a lot of creative days. No doubt, Venice is really a different world. Charm is only one aspect of the city, while the other is sentimentality and romance. It’s like a mirage. Your feelings will surrender to the richness of diversity. An eternal picture of greatness. A past, which, in some magical way, continues to live. More than a thousand years old, the city of Marco Polo and Casanova, dates back to 827, when a Byzantine Duke settled in the area known as the Rialto. The city, under the name Most Serene Republic of Venice, prospered for hundreds of years on trade by the rule of the Dukes (the Doges). During Middle Ages and Renaissance, Venice was also a major maritime power as well as a very important center of commerce and artistic movements. By the late 13th century, it was already the most flourishing and thriving city in all Europe. 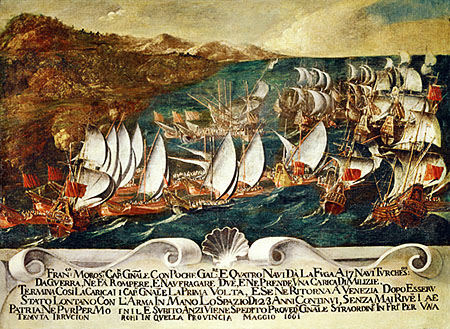 Owned more than 3000 ships and dominated the Mediterranean commerce. Trade mostly with the Byzantine Empire and the Muslim world. The original population consisted of refugees from Roman cities near Venice area and countryside people. At the site existed also some fishermen who were the lagoon dwellers. Later on, the city increased into an autonomous Byzantine outpost. 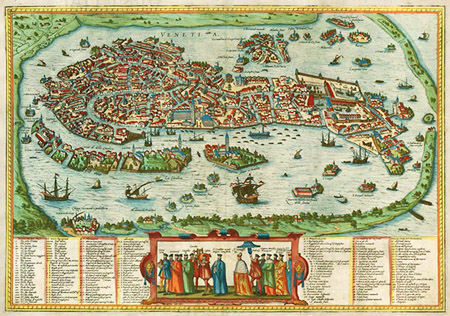 From the 9th to the 12th century, Venice developed into a city state, a naval power and a flourishing trade center between Western Europe and the Islamic world. As the Byzantium declined, the Venetian power rose. Having a major share in the crusades, Venice captured and sacked Constantinople in 1204. Considerable Byzantine wealth was brought to Venice, where leading families had the grand palaces built. The economic decline started in the 15th century. After Constantinople fell to Turks, the Sultan the 2nd declared a 30 year war against Venice, which cost the city much of the eastern Mediterranean possessions. In spite of all this, during the 18th century, Venice was still the most elegant and refined city in Europe, greatly influencing architecture, art and literature. In 1797, Napoleon conquered the city and one year later Venice became Austrian territory. In 1849, after a brief revolt, the Venetian Republic was reestablished and in 1866 the city became part of the Kingdom of Italy. Venice is one of the most important tourist destinations in the world, known for its celebrated art, architecture and culture. This small city hosts about 3 millions of tourists every year. In other words, an average of 50 thousands of international arrivals a day. People from all over the world literally swarm into Venice to experience the attractive graces of this Utopia city. Maybe it’s for you to discover for yourself this precious jewel of World Heritage. No matter what means you chose to travel to Venice, by air, boat, train or private car, there is an easy entrance for you. 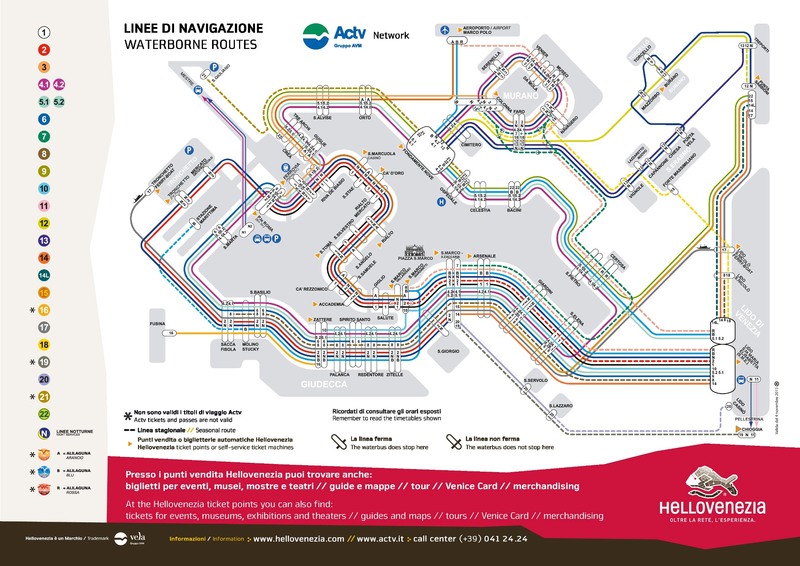 Once there, your first steps will lead you to board one of those motorized water-buses, the vaporetti, which are the main public transportation means. They go forth and back on regular routes along the Grand Canal and between the small city’s islands, using floating stations and stops for people to get on and off. Cruising along the Grand Canal, an incomparable view, like an enormous theatrical scene, will spread out to your eyes. An impressive “floating” line of palaces facades of all styles, rhythms, shapes and colors form a matchless and unequaled composition. 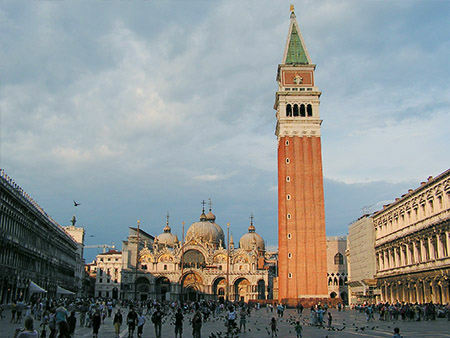 Your destination is San Marco Square, the most popular stop, where every visitor gets off the boat. It remains unchanged for hundreds of years. It is the famous landmark, where the sightseeing on foot starts off and end up for all the tourists. 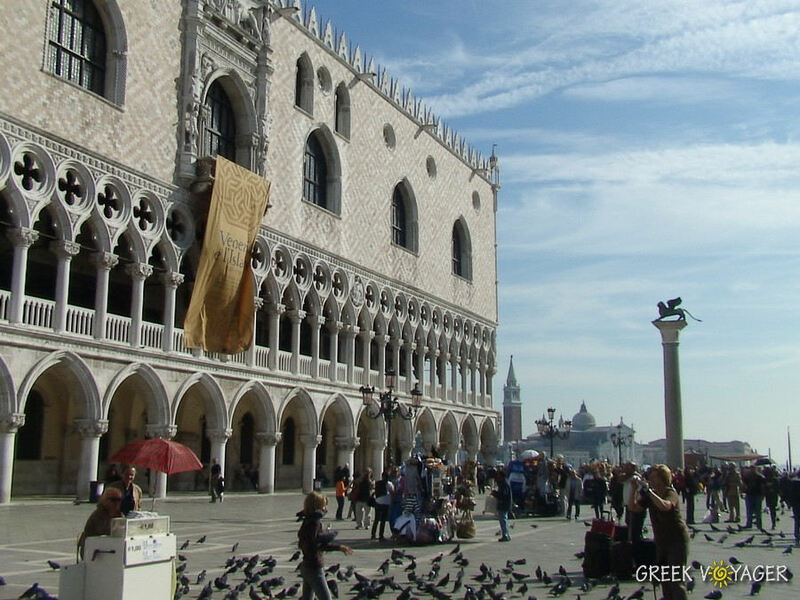 At this Square you will enjoy most of the many city wonders, like the Dukes Palace, The Byzantine San Marco Basilica, the 99 meters San Marco Tower and the astrological Clock Tower. Following the main visitors stream, you will get into the old city’s center. Narrow streets, alley-ways and passages. Antique buildings. Small canals. Arched bridges. Elegant fashion boutiques. Souvenir shops. Famous colorful and elaborated Murano crystal objects. Painted carnival masks. Gourmet restaurants and traditional trattorias. Lots of sites to get on a gondola for a most romantic tour through the canals. Venice’s old time political and judicial hub. The gothic style residence of the Dukes ( the Doges ), who were the supreme authority of the city. Today the palace is one of the many Venice museums. The palace is visited by1,4 million people annually. An astonishing example of Byzantine architecture. 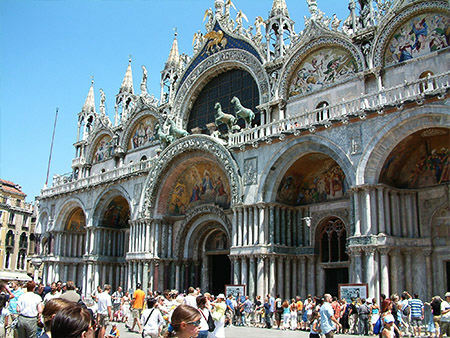 It is the cathedral church in Venice. 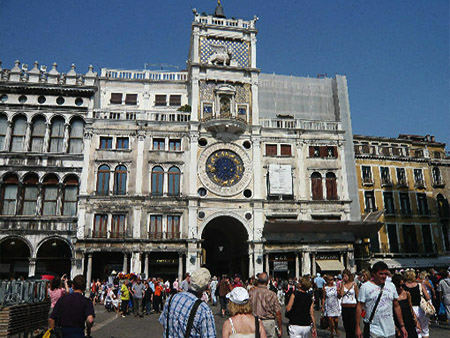 It lies at the eastern end of San Marco Square, next and in connection to the Dukes Palace. It’s construction started in 828 and was completed in 832. But the present form of the Basilica was erected in 1073. It is one of the most recognizable symbols of the city. It stands alone in front of the San Marco Basilica. It is 99 meters tall and houses five bells on the belfry. The tower reached it’s present form in 1514. Collapsed in 1902 and was reconstructed in 1912. On top, there is a 3 meters high golden statue of the Archangel Gabriel. A lift takes visitors to the top, where there is the observatory. An early renaissance building on the north side of the San Marco Square. On the tower, dating from the last decade of 15th century, there is the famous astrological, blue and gold, clock, which was placed high on the tower to be visible from the lagoon, indicating to everyone the wealth and glory of Venice. It shows the day hours, the moon phases and the zodiac signs. 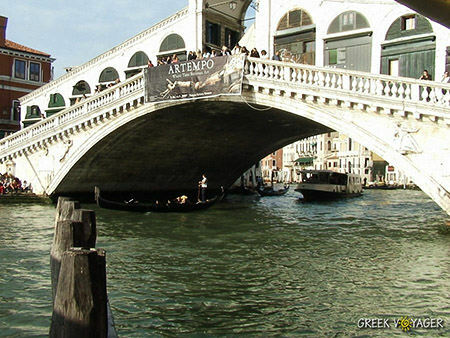 Moving on, you will get to another popular spot, the pedestrian Rialto Bridge, which was constructed in 1588. 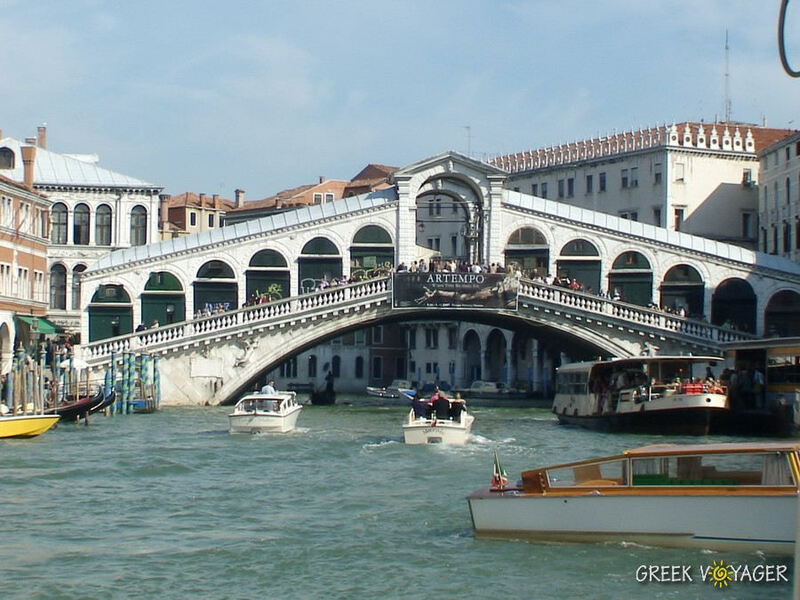 It crosses the Grand Canal with a single span of two inclined ramps, leading up to a central portico. On either side of the ramps, the bridge has two rows of shops. The list of attractions is endless. Museums, Churches, Galleries, Pubs, Bars, Shops and eating places. Going back to the San Marco Square, a must is the Caffe Florian, that sweeps back to the 18th century. Rousseau and Byron, among other celebrities, hung out there. The San Marco Square, a main meeting point, is lined by luxury cafes and shops and museums. The present single span stone bridge was completed in 1591. It is in the heart of the city. It is a popular landmark. Swarms of people crosses there the Grand Canal every day. Its one of the most visited and photographed bridge by thousands of tourists. It is formed by two inclined ramps, covered on top by a portico with arcades on each side. Under the arcades, there are numerous shops. The area on both sides of the bridge has long been a market place. Today it is also a gateway to the Rialto Market. 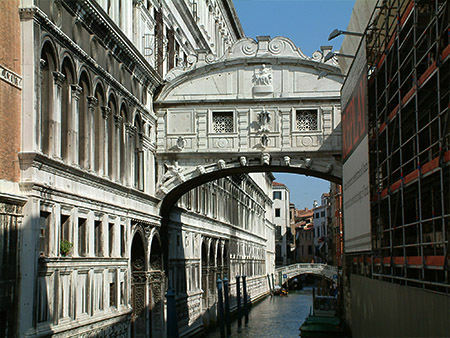 This famous marble bridge connects the Dukes Palace and the Palazzo delle Prigioni. In old times, convicts, after their trial, were forced to enter the prison through this bridge. The enormous white church, dedicated to Virgin Mary. It was built in 1630. It is a very huge octagonal structure, attracting the admiration of the visitors. Venice is such an amazing city to visit. On land and on water there is always a lot to celebrate in this city. If you really want to go there, some months of the year are definitely better than others. Late spring and early summer are the best times. The fall is ok too, but high water (flooding) is more likely to occur. Winter time can be cold and wet, but ends on a lively note with the famous carnival. 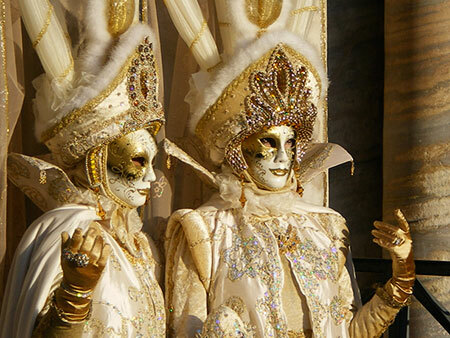 It is Italy’s top festival, taking place in February and early March for two weeks. 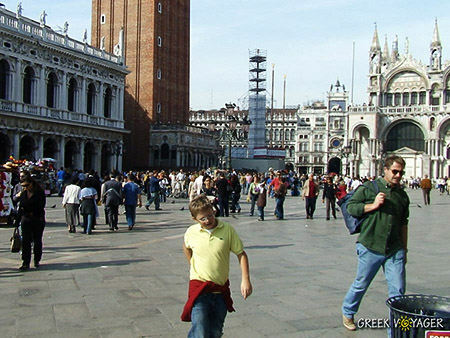 Thousands of tourists go to Venice for that event. The masked and costumed characters and the entertainment parades, music and balls add to mystery and take you back to time. It’s definitely a fun time to be there. People dressed in elaborate costumes and wearing colorful masks, hang out all over town so there is a lot to see and take photos and videos just by walking around. Takes place during August and is second only in importance to the Cannes Festival. Take the water-bus to Lido to catch the action and see the famous movies stars. It is one of the largest and best known contemporary arts expositions in Eyrope. Held June to October in odd-numbered years, featuring painters, sculptors and performance artists from around the world. 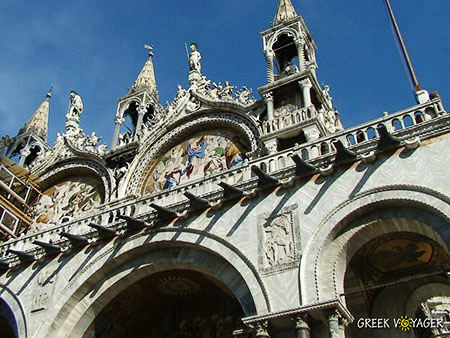 The leading place to see Venetian art from the 14th to 18th centuries. It’s collection of work by Tiepolo, Titian and many more, makes one of the top city museums. Made for modern art lovers. It houses priceless works from the leaders of 20th century painting, indicating Pollock, Klee, Mondrian and de Chirico. It houses several paintings by famous artists such as Tintoretto, Titian and Veronese. It also houses the ancient prison, where Casanova was held for many years. 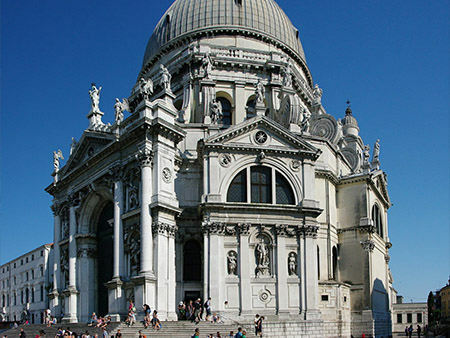 It’s part of San Marco Basilica. It houses the original bronze horses that were taken from Constantinople and once were located outside the Basilica. The collection also includes religious items, jewelries, manuscripts and mosaics. The baroque palace on the Grand Canal houses a large collection of modern art, including works by Matisse and kandisky. 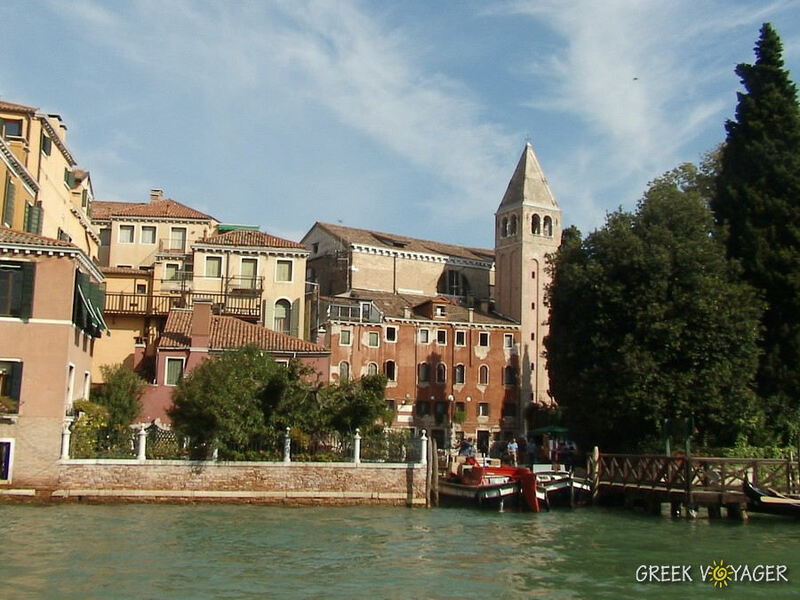 A 13th century Byzantine style palace on Grand Canal. It displays a big collection of fossils and a whole skeleton of a dinosaur. 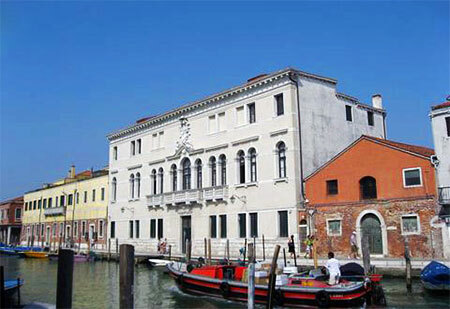 Dedicated to the Venetian history, displaying many historical items, paintings and sculptures, old maps and more. 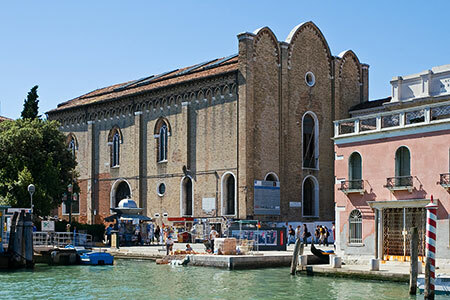 It is housed on the small island Murano. Visitors go there to see glass works from the 15th to the 20th century. that every year during the third week of June, three matches are played in Piazza Santa Croce. Four teams representing each contrada fight in order to win. If you're at the right time, don't miss it! Spritz is the classic Venetian aperitif, it’s a mix of white wine, Aperol (sweeter) or Bitter Campari and Select (bitterer) and a squirt of seltz or Sparkling mineral water.